Please check this page often for employment opportunities with the Kansas Board of Healing Arts. The application process has 3 REQUIRED STEPS. 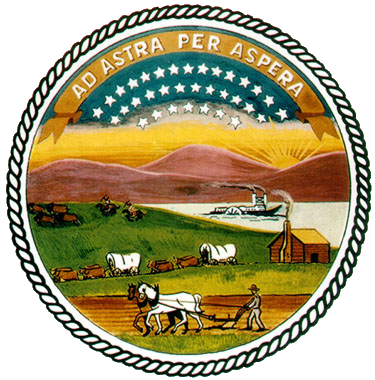 STEP 2: Complete the State of Kansas Application Form ( https://admin.ks.gov/services/state-employment-center/sec-home/state-employment/apply ) and submit to the Kansas State Board of Healing Arts. Each applicant applying for a State of Kansas job vacancy must obtain a valid Kansas Certificate of Tax Clearance by accessing the Kansas Department of Revenue's website at http://www.ksrevenue.org/taxclearance.html A Tax Clearance is a comprehensive tax account review to determine and ensure that an individual's account is compliant with all primary Kansas Tax Laws. A Tax Clearance expires every 90 days. All applicants, including current state employees, are responsible for submitting a valid certificate with all other application materials to the hiring agency. This is in accordance with Executive Order 2004-03. If you need assistance with the tax clearance, please contact 785-296-3199. Former military personnel or their spouse that have been verified as a "veteran" under K.S.A. 73-201 will receive an interview if they meet the competency factors of the position, including any preferred selection criteria established in accordance with K.A.R. 1-6-3.; The veterans' preference laws do not guarantee the veteran a job. Positions are filled with the best qualified candidate as determined by the hiring manager. See jobs.ks.gov for additional Veterans' Preference Information. A pre-employment background and criminal history record check will be performed as part of the recruitment process. The Kansas Board of Healing Arts is an Equal Opportunity Employer.